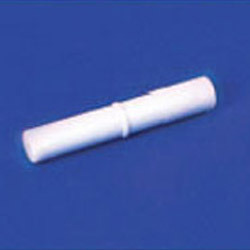 With the support of our highly experienced and skilled workforce, we are renowned as one of the well-equipped manufacturer and supplier of PTFE Centrifuge Tube that is used in various lab applications. 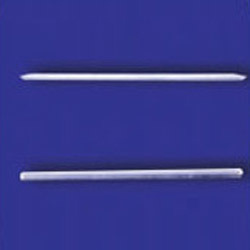 The provided centrifuge tube is manufactured by using premium quality raw material and the latest technology in adherence with industry standards. 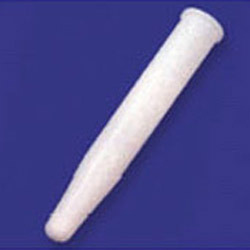 Moreover, this centrifuge tube is tested on different parameters by our experts. 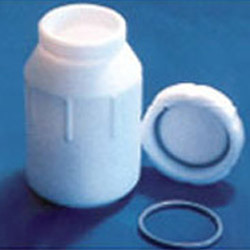 Our esteemed clients can avail from us a broad grade of Dropping Bottle. The offered bottle is available in different sizes and specifications as per the demands of our clients. Our provided bottle is manufactured by using supreme quality raw material and modern technology by our adept professionals. Furthermore, this bottle is praised for its crack resistance and smooth finish. Clients can avail this bottle from us at nominal prices. 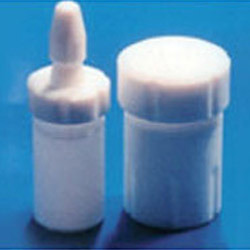 Having years of experience, we are engaged in offering utmost quality PTFE Wide Mouth Bottles that are suitable for using with aggressive chemicals. The offered bottles are manufactured by our adept professionals using the finest quality raw material and progressive technology as per set industry standards of quality. Provided bottles are strictly tested by our experts on different quality parameters. 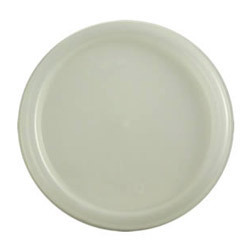 Looking for Laboratory Plasticware ?